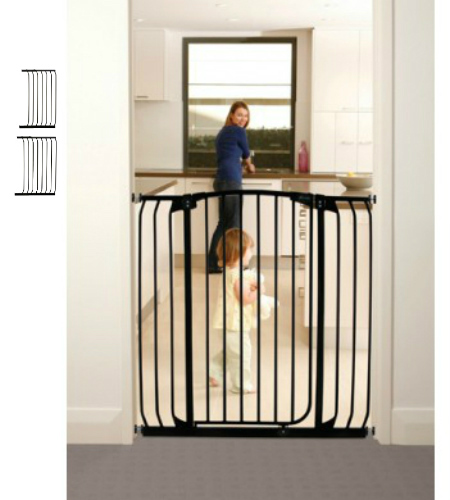 This Hallway Security Baby Gate package includes one 21″ and one 24.5″ gate extension as is the Black version. 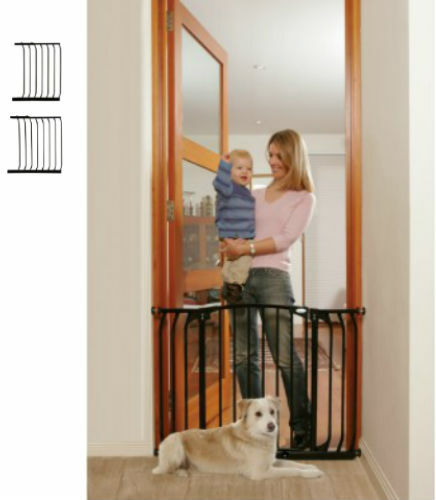 The gate plus extensions are able to reach 85″ to 87.5″ in width for those extra wide openings. The gate features a door that opens in both directions and swings closed automatically. 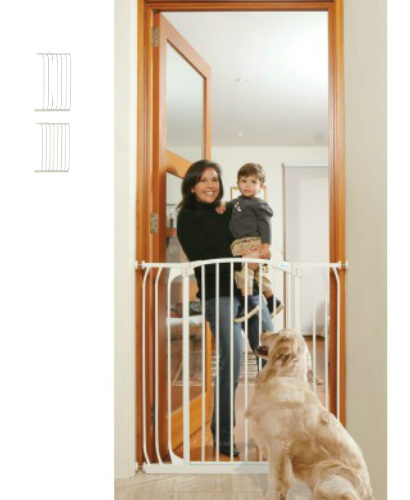 Tall Hallway Baby Gate Plus 21″” and 24.5″” Extensions (85 to 87.5W)-White package includes all hardware and installation instructions. 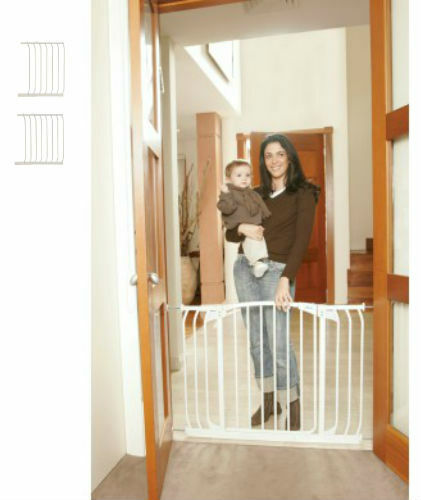 White, steel, pressure mounted baby gate with two extensions. Tall Hallway Baby Gate Plus 21″” and 24.5″” Extensions (85 to 87.5W) package in Black is great for those extra wide openings reaching from 85″” to 87.5″”. Extra Tall height of 39.4″” and door opening of 20″”.